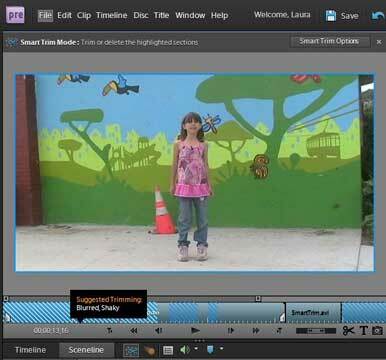 ﻿I’m excited and doubtful about the arrival of Adobe Premiere Elements for Mac. Excited because it this could be a Mac solution for digital storytelling but dubious because it’s Adobe and my experience of their products and pricing is mixed. My digital storytelling journey began with Adobe Premiere on a Mac. At that time (2002) the video editing package cost something like 650 GBP. So the arrival of a lite version for 100 USD looks like a bargain. But the UK price will probably be much higher than the exchange rate would suggest and Adobe’s upgrade policy is usually quite expensive, so keeping up to date could be like a subscription plan. Of course I’m saying all this without having tried out the new product. The announcement doesn’t appear to be matched with a retail version on the Adobe Website. But I will probably give it a spin when it’s released into the wild. The need for a Mac solution for digital storytelling is driven by the demise of iMovie HD, and as subsequent OSX upgrades come along it’s becoming more and more difficult to keep the old version from 2006 alive. Since the rewrite of iMovie in versions 7 and 8 (in iLife ’08 and ’09), it’s not been easy to devise a workflow for digital storytelling. But you never know – the arrival of iLife 11, whenever that might be, could deliver the functions we need. The trial version is now available to download from the UK site but be warned – it is 1.7Gb followed by a tedious install process that takes 20 minutes.